The Colour Blind Monks are a young, new alt-rock band made up of Alex, our guitarist, Isaac, our drummer and Phoebe, lead singer and bassist. The Colour Blind Monks formed officially in 2018, but have been a close knit group for nearly a decade. 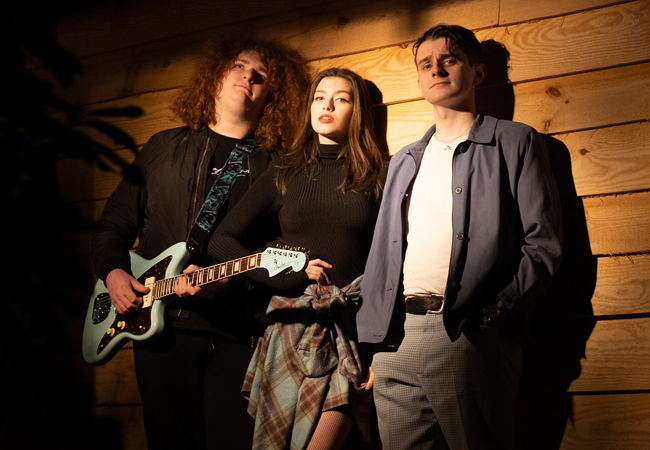 Alex, Phoebe and Isaac are all self-taught musicians who have grown up together (quite literally, Alex & Phoebe are siblings!). From a young age we have worked together, sang and jammed together and in 2018 decided to become The Colour Blind Monks. We make original alternative rock music, although there are some indie and blues influences to be found in our music.